Tony Albert, Australia, born 1981, Girramay/Kuku Yalandji people, Queensland, Universal Soldier, 2014, Assemblage of reworked objects, fabric and twine , 273.0 x 190.5 x 5.5 cm (dimensions variable) Acquisition through TARNANTHI | Festival of Contemporary Aboriginal and Torres Strait Islander Art supported by BHP Billiton 2015, Art Gallery of South Australia, Adelaide. Courtesy the artist and Sullivan+Strumpf, Sydney, Photo Greg Piper. 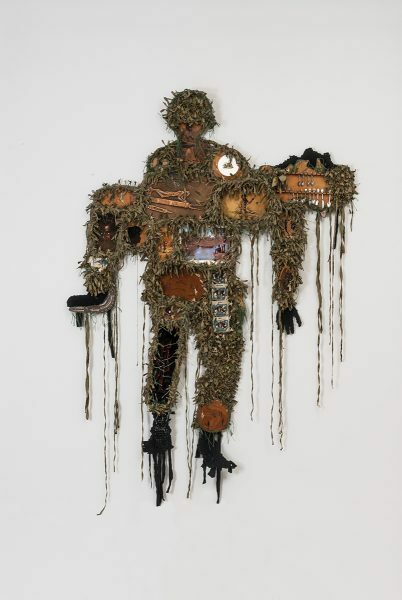 Tony Albert, Australia, born 1981, Girramay/Kuku Yalandji people, Queensland, Universal Soldier, 2014, Assemblage of reworked objects, fabric and twine, 273.0 x 190.5 x 5.5 cm (dimensions variable) Acquisition through TARNANTHI | Festival of Contemporary Aboriginal and Torres Strait Islander Art supported by BHP Billiton 2015, Art Gallery of South Australia, Adelaide. Courtesy the artist and Sullivan+Strumpf, Sydney, Photo Greg Piper. 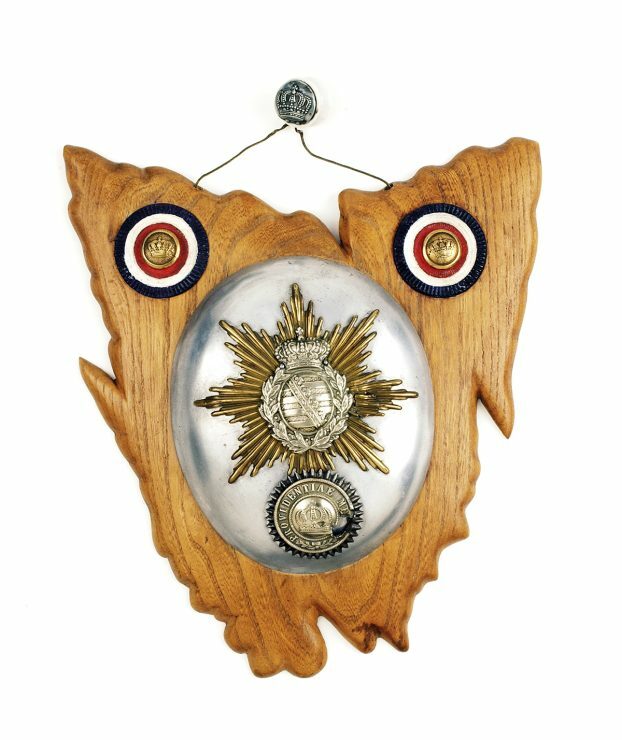 Sapper Stanley Keith Pearl, 5 Field Company Engineers, AIF, Australia,1893–1986, Map of Tasmania, 1917, Nord Pas de Calais, Nord, Lille, Armentieres, France, Wood, aluminium, brass, silver, ceramic. Australian War Memorial, Canberra. Fiona Hall, Australia, born 1953, All the King’s Men, 2014–15, Adelaide, Knitted military uniforms, wire, animal bone, horns, teeth, dice, glass, mixed media, 20 parts, installation dimensions variable. Gift of Candy Bennett and Edwina Lehmann, Dr Peter and Sandra Dobson, David and Pam McKee, Simon Mordant AM and Catriona Mordant, John Phillips, and Tracey and Michael Whiting through the Art Gallery of South Australia Contemporary Collectors through the Fiona Hall Appeal 2015–16 © Fiona Hall, images courtesy Roslyn Oxley9, Sydney. Photo: Clayton Glen. 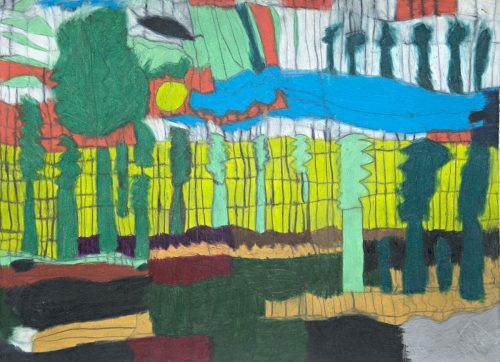 Brett Graham, New Zealand, born 1967 Ngati Koroki Kahukura people, 25 21 S 131 03 E, 2016 Tawhai wood, lacquer 130 x 130 x 25 cm © Brett Graham, courtesy Fehily Contemporary, Melbourne, Two Rooms Gallery, Auckland, and Bartley + Company Art, Wellington. 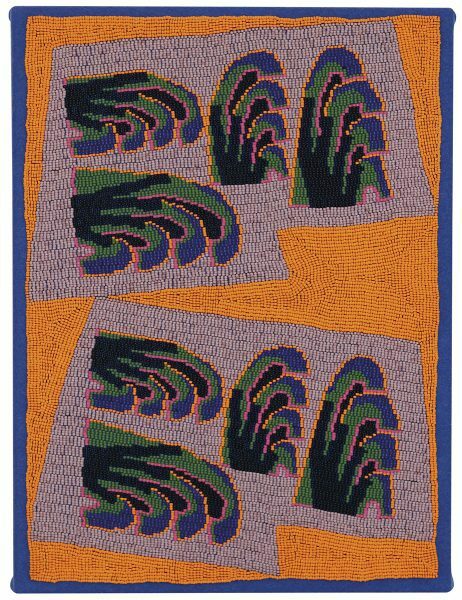 Alasdair McLuckie, Australia, born 1984, Untitled (orange outside), 2016, Woven and embroidered glass seed beads on wool, 51 x 38 cm © Alasdair McLuckie, courtesy Murray White Room, Melbourne. 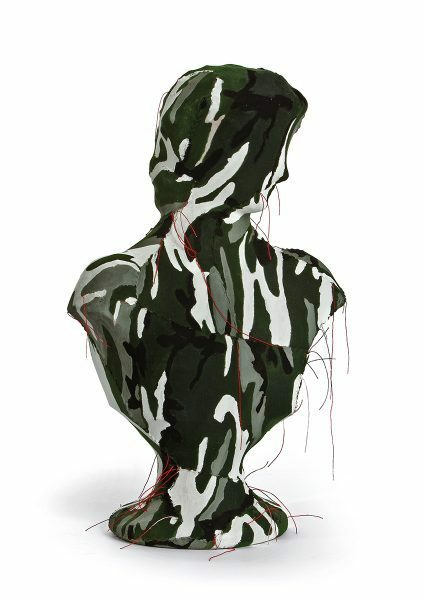 Olga Cironis, Czechoslovakia, born 1963 (to Greek refugee parents), arrived Australia 1971, forgot, 2016, replica bust, camouflage fabric, paint, red thread, 45 x 17 x 32 cm © Olga Cironis, courtesy Turner Gallery, Western Australia, and Brigitte Braun, Victoria. 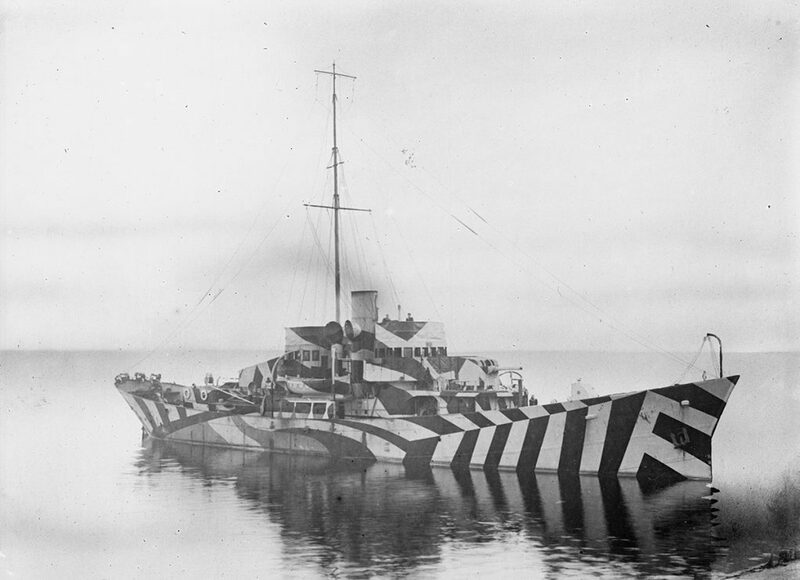 Oscar Parkes, Britain, 1885–1958, HMS Kilbride in dazzle camouflage, 1914–18, Surgeon Parkes Collection of ships portraits. Imperial War Museum, London. The exhibition Sappers & Shrapnel: contemporary art and the art of the trenches is timed to coincide with Remembrance Day, 11 November. 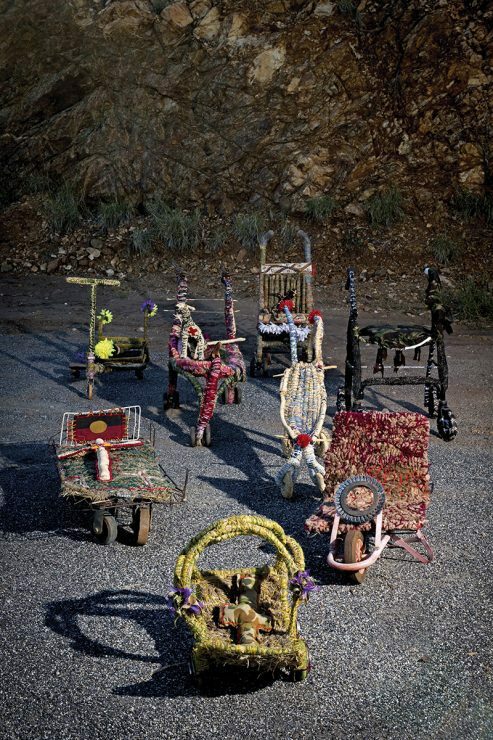 Curated by Lisa Slade, this powerful exhibition about not forgetting brings together the work of contemporary artists (including Tony Albert, Olga Cironis, Nicholas Folland, Brett Graham, Fiona Hall, Richard Lewer, Alasdair McLuckie, Baden Pailthorpe, Ben Quilty, Sera Waters and the Tjanpi Desert Weavers) with trench art from the collection of the Australian War Memorial. These works, both old and new, are essays in human acts of destruction and creativity. 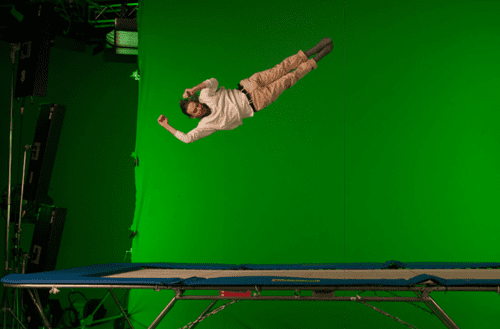 Baden Pailthorpe, Australia, born 1984, Cadence III, 2013, HD, video, colour, sound, 4 mins, AP 1; d’AuvergneBoxall Bequest Fund, 2013. Art Gallery of South Australia, Adelaide © Baden Pailthorpe. Sappers & Shrapnel also reminds us that conflict occurs in broader contexts than theatres of war. 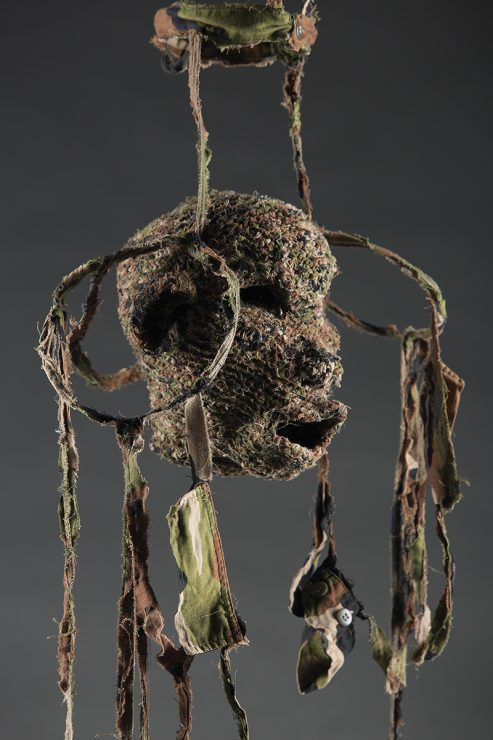 The Tjanpi Desert Weavers (Rene Wanuny Kulitja, Judy Ukampari Trigger, Erica Ikungka Shorty, Lucille Armstrong, Mary Katajuku Pan, Janet Inyika, Niningka Lewis and Freda Teamay) use camouflage military garments for Tjituru-tjituru, 2016, evoking the enduring anxiety of the dispossessed. Ben Quilty collected life vests, found on the beaches of Greek islands, discarded by Syrian refugees fleeing conflict. He pieces these together in Teeth, 2016, assembling the flotsam and jetsam of precarious lives. It is surprising to find the waste of war repurposed as the stuff of art. The effect is often Dada-esque in its incongruity. Pearl transformed a German shell case into a vase, to “take a single flower,” according to the Australian War Memorial. Two more shell cases are used to make Alarm Clock, 1918, which is decorated with the Rising Sun badge of Pearl’s mate who died at Noreuil. Neither trophy nor souvenir, this clock marks instead, according to Slade, the everyday endeavour, even in war, to create. 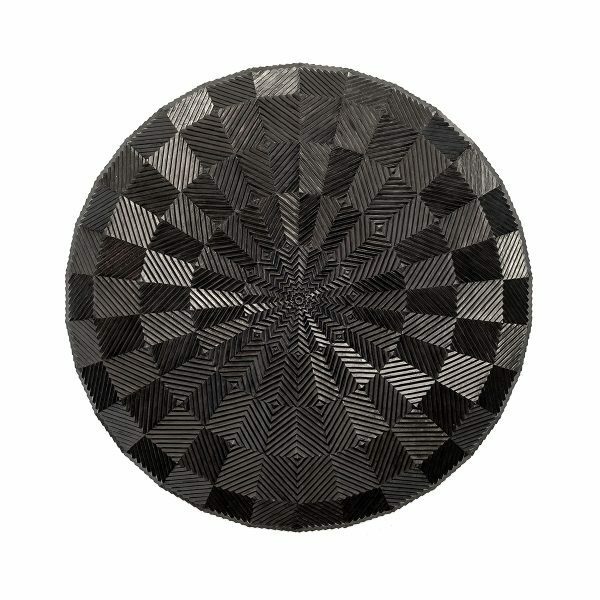 This reappropriation of familiar items is also found in contemporary artworks. 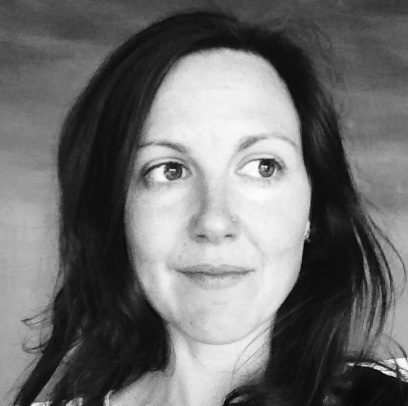 The vernacular becomes unsettling, as we consider the fragility of the everyday. 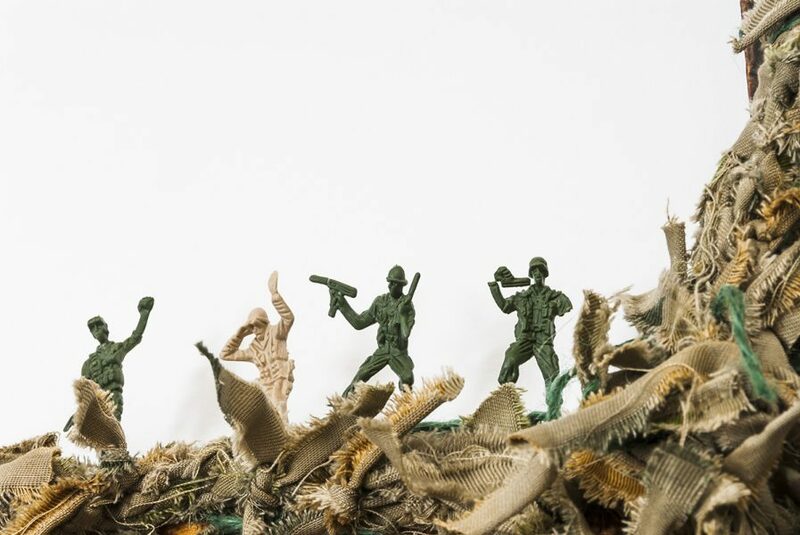 Richard Lewer’s mixed media dioramas turn toy soldiers and doll houses into theatres of violence and desolation. The problematised familiarity of kitsch Australiana in Tony Albert’s work speaks to the diversity of the experience of war, and the failure of the nation to recognise the role of its Indigenous soldiers. Trench art like Sapper Pearl’s, which has long eluded categorisation, is here presented by Slade as critical practice. 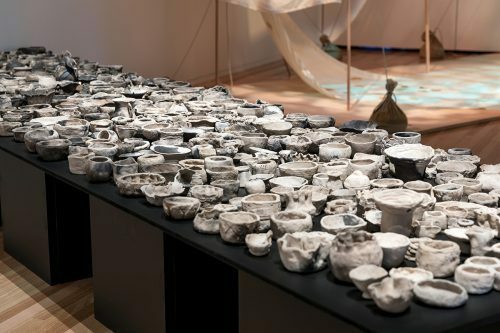 This exhibition brings together works made from the shrapnel of a century of conflict, lest we forget the destruction of war and the endurance of creativity.